Client Carl Scovens, Sr. cleans up after lunch at Homes With Hope's Gillespie Center homeless shelter in Westport on Monday. WESTPORT — Three years ago, Carl Scovens was living in a spacious three-bedroom Norwalk duplex with his wife and teenage daughter. Scovens was used to splitting bills with this wife but after she died in 2015, he could no longer afford the apartment. Shortly after his wife’s death, he donated or sold most of his belongings and moved in with a relative, who offered him and his daughter temporary shelter. The offer brought Scovens, a diabetic, a sense of relief, especially on nights following dialysis treatment. But soon after, he found himself looking for another place to live after he and his relative had a disagreement. The relative said his daughter could stay, but Scovens had to leave. For almost two weeks, Scovens lived at a Bridgeport men’s shelter that had a curfew and a cellphone ban, an issue for anyone with health problems, he said. After calling other relatives, who said they couldn’t support him, he finally reached a cousin, who mentioned Homes with Hope, a Westport-based nonprofit that provides emergency and supportive housing to people in Fairfield County and beyond. He asked for a place to stay and after about two weeks, staff found him a room. Program Director Ryan Soto said he knew stable housing would help Scovens manage his medical condition. Homes with Hope has 50 emergency beds and 67 permanent supportive housing beds in 10 locations. “We don’t really turn anyone away,” Soto said. People have traveled from as far as Armonk, New York, he added. Homes with Hope formed in December 1983 and opened as a homeless shelter for single men. 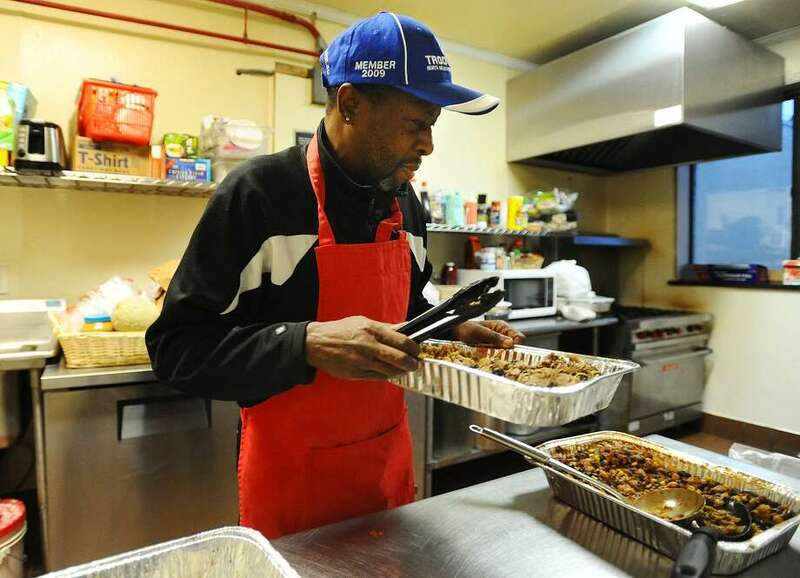 Over time, it expanded from offering shelter and food — each year they provide about 3,000 bags of food to people in need — to other supports like mentorship, youth education and life skills. Mental illness, a lack of affordable housing, job-related issues and physical health problems are among the top reasons people seek the shelter’s services, said Paris Looney, vice president and chief operating officer. She said housing is one of the most basic necessities, something Wieser agreed with. Homes with Hope collaborates with Family & Children’s Agency, Mid-Fairfield Aids Project, Open Door Shelter and other organizations. It’s funded primarily by private donors and state and town governments. “It is very validating to get financial support from the community. It’s a sign that the community wants a homeless shelter in Westport,” Wieser said. Since Scovens doesn’t have to worry anymore about immediate housing, he’s working on securing subsidized housing, which he’s eligible for, due to his medical diagnosis. Soto said Scovens also hopes to reunite soon with his daughter, who moved in with her grandmother, and there’s a chance it could happen by the end of the year.